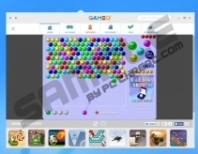 Gameo Ads may show up on the browsers you run after you accidentally or purposefully install the Gameo application onto the operating system. Even though this program is presented as a beneficial and reliable tool which is meant to help you find and play free games on the PC, most computer users find the application quite intrusive. It has been revealed that the supposedly beneficial program may also be used to the benefit of third party advertisers and software distributors. If you have discovered additional software running alongside the suspicious tool, it is most likely that you can blame it for this. 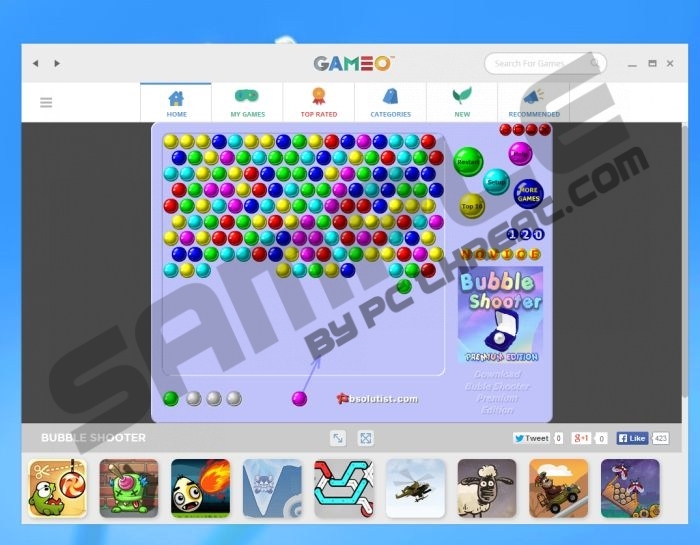 Please continue reading to learn how to remove Gameo and other undesirable software. Gameo does not have an official download page; however, you may be offered to install it via suspicious pop-up advertisements. If these exist, it is likely that adware, or advertisement supported software, is already running on your personal computer. Needless to say, more advertisements are likely to start flooding as soon as the suspicious application is installed. Gameo Ads may represent virtual scams, unreliable installers, and other threats, which is why we recommend that you delete them as soon as possible. Needless to say, it is not enough to close individual pop-up and banner advertisements to delete Gameo Ads for good. Luckily, we know how to get rid of them. Use the manual removal guides below to delete Gameo, WiseEnhance, and other undesirable programs which may have entered the PC via a bundle download. After this, you should install an authentic, automatic malware removal tool to delete Gameo Ads components and adware files. Click the download button below to acquire a reliable tool onto your Windows operating system. Please post a comment below if you need further assistance. How to remove Gameo Ads? Tap the Windows key to access the Metro UI start menu and right-click. Click All apps to open the Apps menu, move to Control Panel and then to Uninstall a program. Locate the Task Bar at the bottom of the screen and click the Start icon on the left. Open the Control Panel and select Uninstall a program to find the installed software. Right-click and Uninstall the undesirable application you wish to delete. Open the Start menu from the Task Bar below and select Control Panel. Click the undesirable application and select Remove to get rid of it for good. Quick & tested solution for Gameo Ads removal.